CASTING SKILLS, FLY TYING, ROD BUILDING & TACKLE SELECTION. 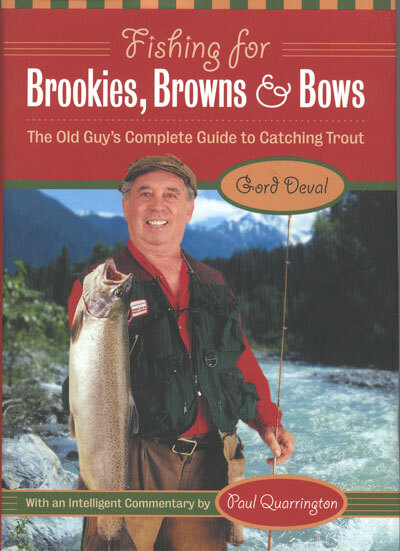 of Gord Devals' Best Fishing Books right from this web page!! 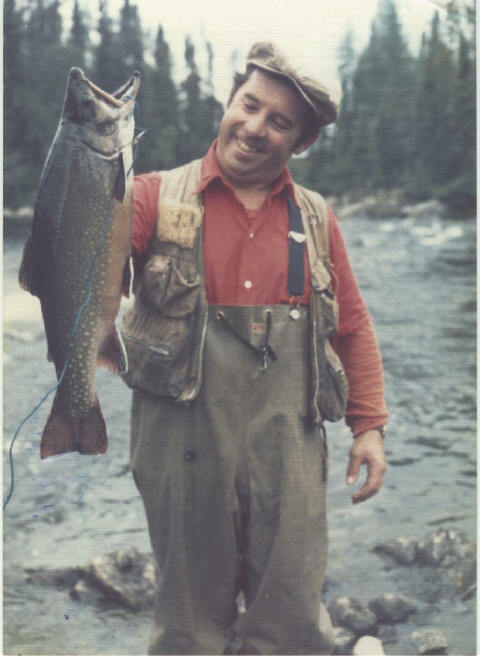 "Memories of Magical Waters contains a richness of trout fishing lore related to Deval's experiences on hundreds of streams, rivers and lakes in Ontario and Quebec. 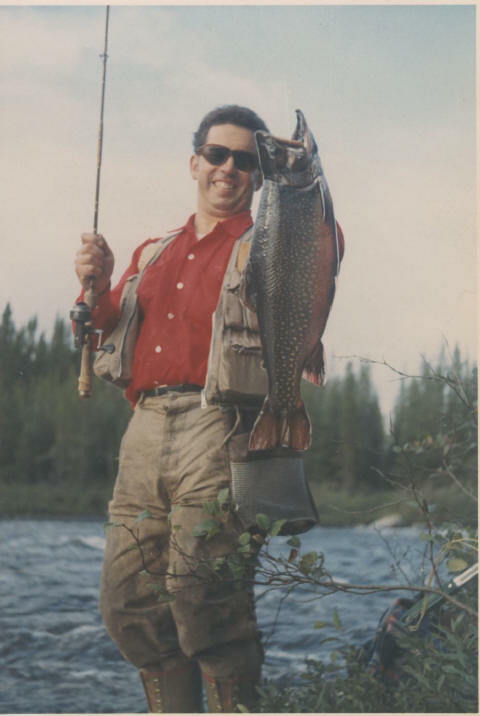 His extensive outdoor reminiscences introduce us to the fabled waters that, for him, have produced special catches and unparalleled outdoor adventures." "You don’t know how lucky you are, on a couple of counts. You’re lucky to have the Old Guy’s special knowledge bundled up and glued between cardboard, so that you might ever refer to it. You can dog-ear the really good parts. I suggest you immediately turn to page sixty-five and turn down the corner there, where it tells you how to make Despairs. 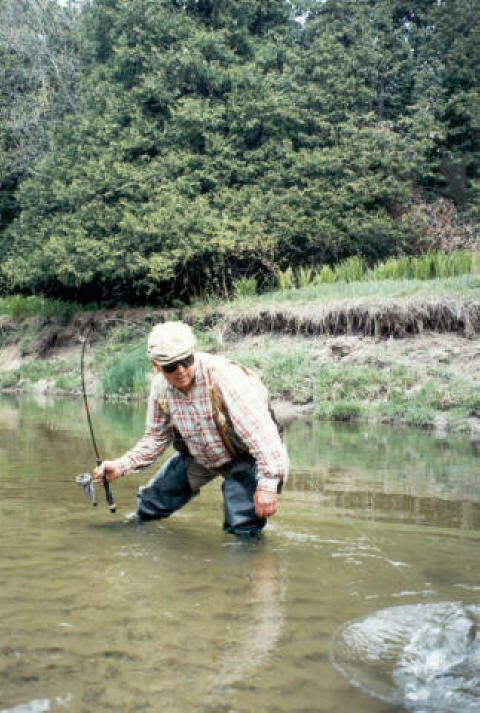 You’re going to be making a lot of them, I’ll bet, because it is the Old Guy’s favorite fly, and therefore likely the most effective trout fly in the world." 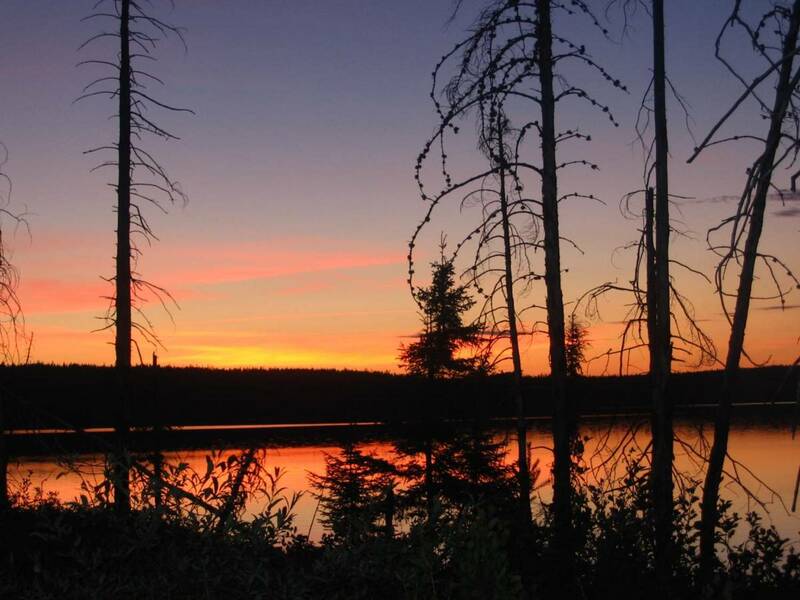 Submit your fishing "story" here if you don't mind adding it to our "Short Stories" web page. 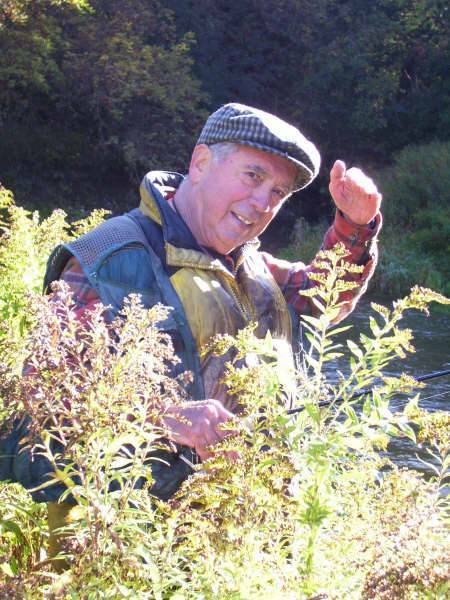 Fishing with Paul Quarrington by "His Old Guy"
"Looking towards his position on the river bank, we were stunned to see our canoe drifting away sixty or seventy feet in front of the apparently, at least to the rest of the crew, not overly concerned announcer of that startling observation. The already partially loaded canoe, which had obviously been tied carelessly, if at all, to the bushes on shore, was rapidly approaching the point of no return, dangerously close to the rapids below the great falls to the right of our camp." "CASTING ABOUT is a definitive look at fishing tackle development and selection, along with a study of casting techniques for all anglers neophyte to expert, fly caster to spin fisherman. It was written with the principle objective of assembling a reference work that would enable the angler to maximize his/her skills, as well as pleasures, in the sport of fresh water fishing". 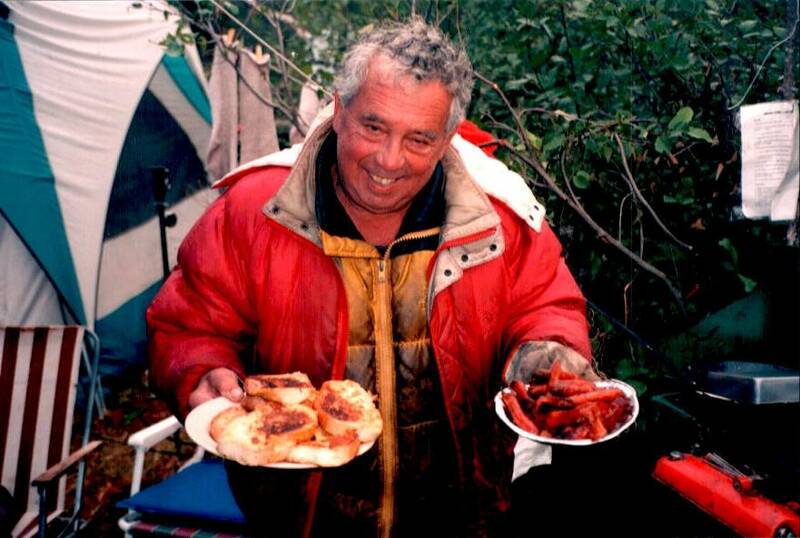 "This little book will introduce you to a host of tempting, mouth-watering freebies - gourmet food and tidbits largely ignored by everybody, but welcomed, indeed treasured, by a growing segment of adventuresome outdoorsmen. Seldom returning empty-handed myself from any trip afield, I find it difficult to understand why this delectable hodgepodge of gourmet viands remains virtually untapped. There is almost always some succulent 'wild' food nearby that's merely waiting to be harvested, then converted into gourmet fare." "From home-made Apple Jelly to Smoked Salmon, here is the guide to preparing mouth-watering delicacies from all that you catch, collect and hunt. You must try Gord's TORREMOLINOS TROUT! " An excerpt from this delightful Children's Book. "Sunny the Seeing Eye Sunfish had certainly earned his title. First, he had saved Wally Walleye from being trapped in the jumble of tires before leading him back to his regular place in the weed-bed. Then he had somehow managed to get a nice little meal back to his hungry friend. By taking him the worm he stole off Uncle Bob’s hook, he was also able to prevent his friend’s becoming hooked on Jason’s big artificial lure. At least, he hoped Wally was a friend." 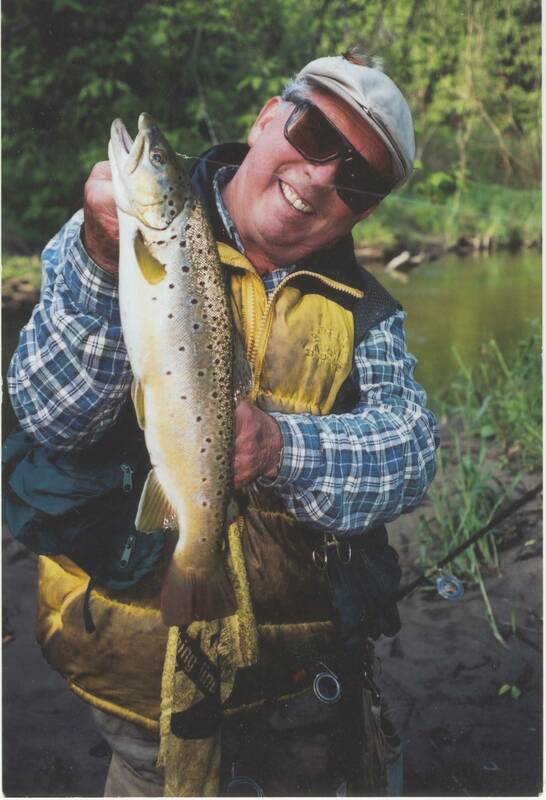 Scarborough Fly & Bait casting Club activities are eagerly anticipated and read by trout fisherman around the world and reported monthly on Gord's popular monthly bulletin, "The Reel Thing" Chock full of valuable information for everyone who understands that "it's all about the water." Club members conduct the annual Scarborough Open Fly & Bait Casting Championships and compete in regional, Canadian, North American, International and World Championships, with our members having won well over a thousand awards since our club's inception. 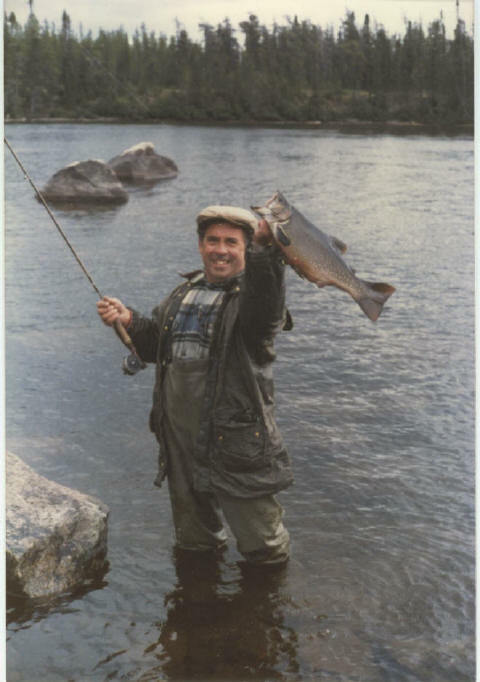 We have well-known authors (angling subjects and otherwise) in the club including Governor General's and Stephen Leacock award winning writer, Paul Quarrington (see 'Fishing With My Old Guy') and have done numerous television shoots for T.S.N., C.T.V., C.B.C., and others. A number of former club members have done so well in the club that they have used their newly-acquired expertise to change careers, going into business for themselves, i.e. Fly Tying, Rod Building, Bass Pros, D.N.R. affiliation, etc.